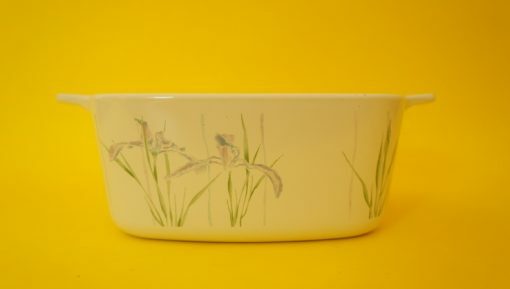 This ‘Shadow Iris’ Corning Ware dish is a much more modern design than the classic Cornflower Blue, but it’s still quite lovely to look at, and obviously is exactly the same quality that Corning Ware is so famous for – that’s why some thirty years after Shadow Iris entered the market, this oven dish is still in such great condition! 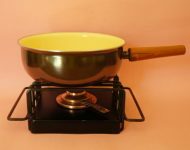 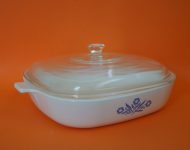 There are some minor scuff marks here and there, but overall this oven dish is in great condition. 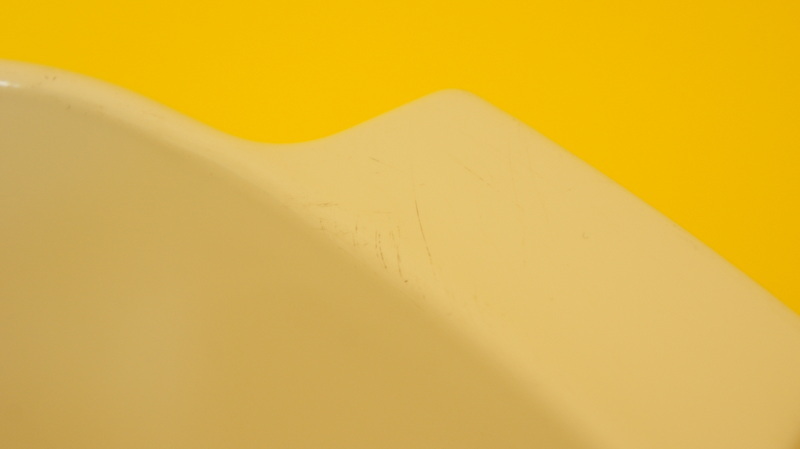 Also being bit smaller, it’s probably quite a practical size, which means that it was probably well used, yet still there’s barely a mark on it! 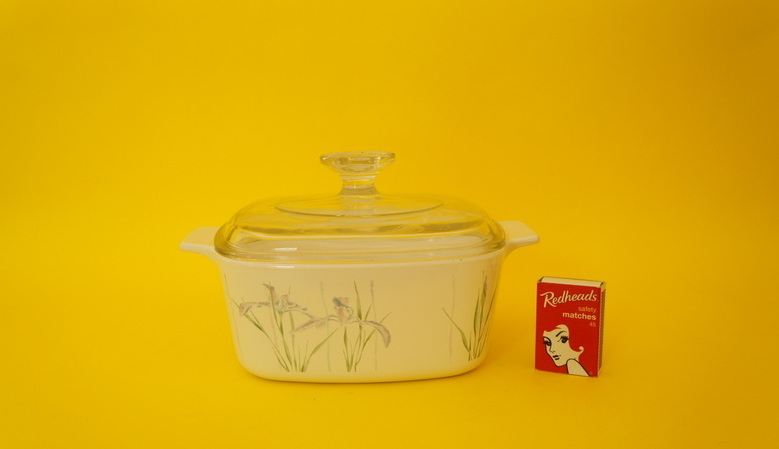 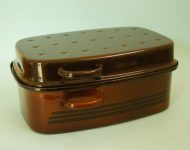 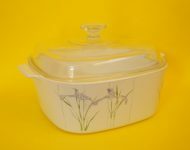 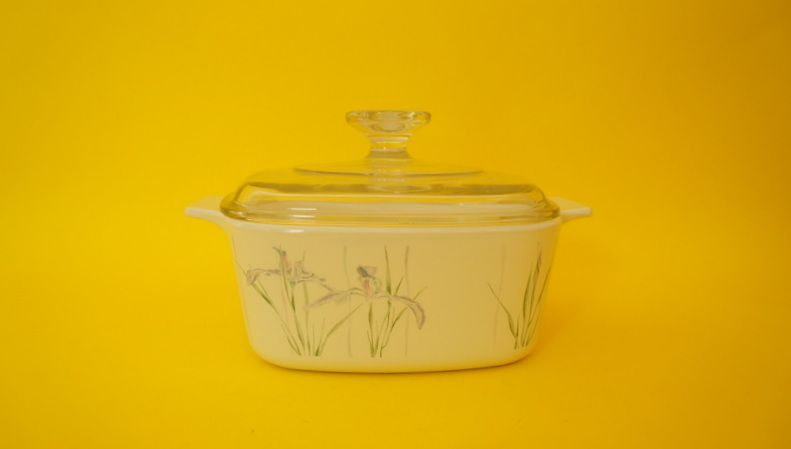 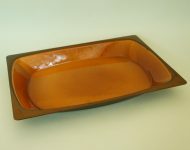 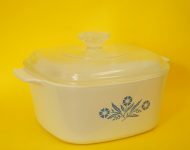 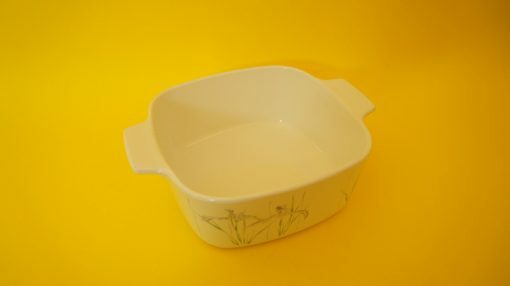 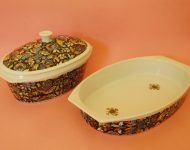 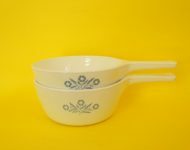 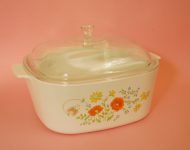 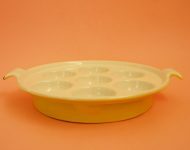 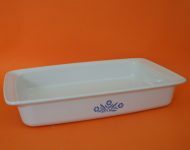 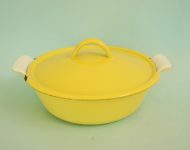 Good looking ovenware designed to go the distance!